A team of researchers from Stanford University have determined that failure to meet climate mitigation goals set out in the Paris Climate Agreement could cost the planet trillions over the next century, highlighting less the climate and environmental benefits of achieving these targets but more the economic risks attendant with ignoring these targets. Much has been made of the Paris Agreement’s goal of holding global warming to 2°C above pre-industrial levels, and the aspirational target of holding levels to 1.5°C. The impact to the planet could be catastrophic, from a human population point of view, and a lot of the focus has been centred around these environmental and climate impacts. However, up to now, the economic benefits of achieving these targets have yet to be quantified, a task a team of Stanford University researchers set out to achieve in a new study published in the journal Nature, entitled Large potential reduction in economic damages under UN mitigation targets. The researchers concluded that there is a 75% chance that limiting global warming to 1.5°C instead of 2°C would reduce economic damages and a more than 60% chance that the accumulated benefits of doing so could exceed $20 trillion. The goal of the Stanford researchers was to study how economic performance over the past 50 years correlated with global temperature changes across the planet, then compare these findings with climate model projections of how temperatures might change in the future. They found that a vast majority of countries — which, collectively, account for 90% of the world’s population — would benefit economically from limiting global warming to 1.5°C instead of 2°C — including the world’s three largest economies, the United States, China, and Japan. 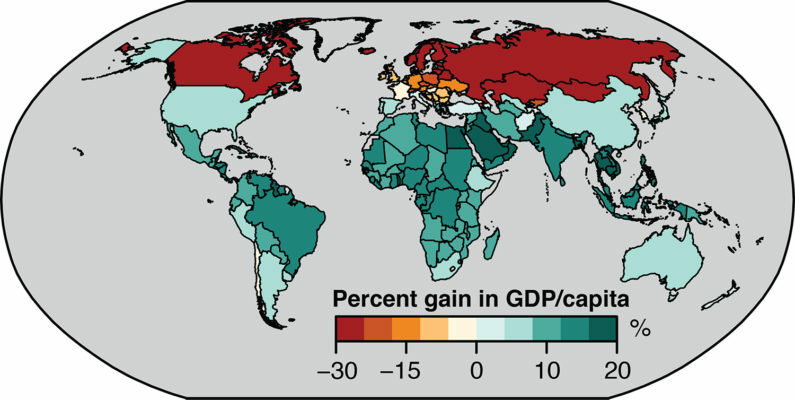 Beyond the significant benefits to significant economies such as these, however, the researchers also showed that even small reductions in future warmings across some of the world’s poorest regions could yield notable increases in per capita gross domestic product (GDP). 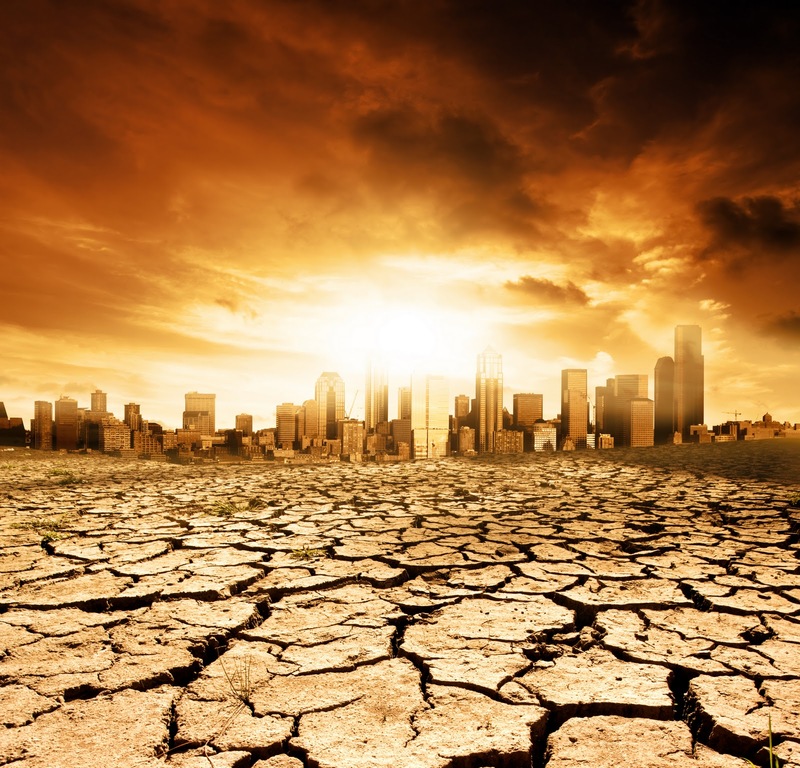 The projected costs highlighted in the research stem from dealing with extreme climate events, lower agricultural productivity, and worsening human health. In addition, the researchers compared global economic growth in a world where countries achieve their individual Paris Agreement goals — which research has shown may only lead to holding global warming to 3°C — as compared with the actual goals of the Paris Agreement and found that this failure would likely substantially reduce economic growth. “It is clear from our analysis that achieving the more ambitious Paris goals is highly likely to benefit most countries – and the global economy overall – by avoiding more severe economic damages,” explained Noah Diffenbaugh, professor of Earth system science and paper co-author.